About 18 jobs in Agriculture & Mining sector. Seeking creative, passionate, engineering minded software engineers looking for an environment with a core set of values anchored in trust, autonomy and a relentless focus on user experience to build innovative digital solutions in Aquaculture. have experience throughout the entire development stack and a broad background in custom software engineering.You probably have your favorite space to work in (UX/UI, services, infra code, backend, etc), but we do our best to promote cross-functional behaviors.We place users at the center of our universe, leveraging DevOps tooling to facilitate feedback loops that often are less than a day.In that spirit, it’s essential that you be both well rounded and willing to learn new technologies in a short amount of time to support the goals of the work. As a member of the iQautic Product Team you will work with Product Managers to understand new features within the product and the engineering team to validate design.Each engineer is then responsible for the development of the feature, all the way through a release to production.We value eliminating handoffs and external dependencies through this approach, giving more autonomy to the developers and team.If this ecosystem sounds appealing, it is a perfect opportunity for you to join and focus on creating amazing software. • Participate in a dynamic development environment where solutions evolve daily as customer demands emerge over time. • Implement modern engineering practices to ensure product quality (e.g., test automation, CI/CD practices), where appropriate. • Provide hands-on designs, prototypes, and implementations incorporating software engineering best practices, tools and monitoring according to industry best practices. • Be a voice to the broader iQuatic and other CDL development teams regarding best practices, patterns implementation and solution problem solving. • Regularly interface with commercial teams, customers, support specialists and SMEs to understand and evaluate business requirements. • Undergraduate in the sciences or arts, with training certifications in software development. • Ability to collaboratively design and write testable code in open source frameworks. • Ability to develop through the entire application and infrastructure stack. • Apply knowledge to new and more complex situations. • Leverage knowledge, perspectives and experience from working with globally diverse team. • Be part of new or unfamiliar role, building / being part of a new global team, dealing with ambiguity. • Collaborate across the organization. 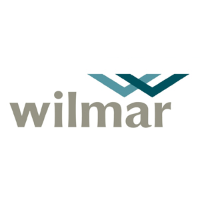 Wilmar International Limited, founded in 1991 and headquartered in Singapore, is today Asia’s leading agribusiness group. Wilmar is ranked amongst the largest listed companies by market capitalisation on the Singapore Exchange. of Wilmar’s strategy is an integrated agribusiness model that encompasses the entire value chain of the agricultural commodity business, from cultivation, processing, merchandising to manufacturing of a wide range of agricultural products. It has over 500 manufacturing plants and an extensive distribution network covering China, India, Indonesia and some 50 other countries. 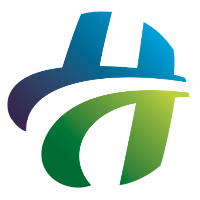 The Group has a multinational workforce of about 92,000 people. We are currently recruiting a position for an assistant research officer to join Wilmar’s corporate lab (Wil@NUS). The potential candidate will be primarily involved in microbiome data analysis related to Wilmar’s products. The project objectives are to identify metagenome, transcriptomic and metabolomics markers related to specific phenotypes of interest to the lab, using marker-based and/or assembly based methods. Quality control and analysis of complex next generation sequencing (genomic and transcriptomic), metagenomics and metabolomics data. Summarize and visualize intermediate results to reveal data insights. Creating and maintaining bioinformatics pipelines used for the lab. Present results within the research group and collaborators. Participate in seminars and research-in-progress meetings within the team and collaborators. Coordinate and liaise with banks and manage the Group’s bank accounts, which includes bank accounts opening, maintenance of bank accounts, etc. and the agency consists of people from different parts of the world. We're not all work and no play. We have regulars sports days, trainings and company activities to make work fun. Singaporeans, PR and Malaysians welcome to apply. •Delve though scientific literature and historical data to identify new hypotheses to improve strain performance and identify targets for strain improvement. •Direct strain engineering design, execute of experiments, analyze, and report on project results. •Generation of knock-out and knock-in fungal strains. •Provide high attention to detail to ensure that all work is executed to the highest degree of ability and reproducibility. •Train and help other members within the team. property that provides value to the company. •Promote a positive, safe, and compliant work environment. •Ph.D. in a life sciences discipline is required; PhD in Biology, Biochemistry, Bioengineering or Genetics preferred. •Strong technical expertise with a record of accomplishment in microbial biotechnology; genetics; genome editing; genomics; metabolic engineering. •Expertise with manipulating and engineering (filamentous) fungi is required. •Experience with Aspergillus desired but not required. •Experience in engineering other organisms including yeast and bacteria is also a plus. •Prior experience with heterologous enzyme production and purification. •Expert knowledge in molecular biology techniques: PCR, DNA/RNA isolation. •Experience/exposure to the CRISPR technologies. •Ability to foresee, define, identify and resolve problems in a timely manner. •Must be motivated, possess good interpersonal skills, communicate well within and between teams. •Ability to prioritize responsibilities and work effectively in a matrix environment. •Industry experience is not required but would be advantageous. •Excellent written and oral communication skills are required. research activities Good understanding of data analysis methods. Familiarity with computer programs. Good time-management skills. Ability to multi-task. Strong interpersonal and communication skills. Critical-thinker and problem-solver. •Prepares work to be estimated by gathering proposals, related documents and etc. •Identifies labor, material, and time requirements by studying proposals and related documents. •Computes costs by analyzing labor, material, and time requirements. •Presents prepared estimate by assembling and displaying numerical and descriptive information. •Maintains cost data base by entering and backing up data. •In-depth knowledge of project costing. •Strong interpersonal and communication skills.